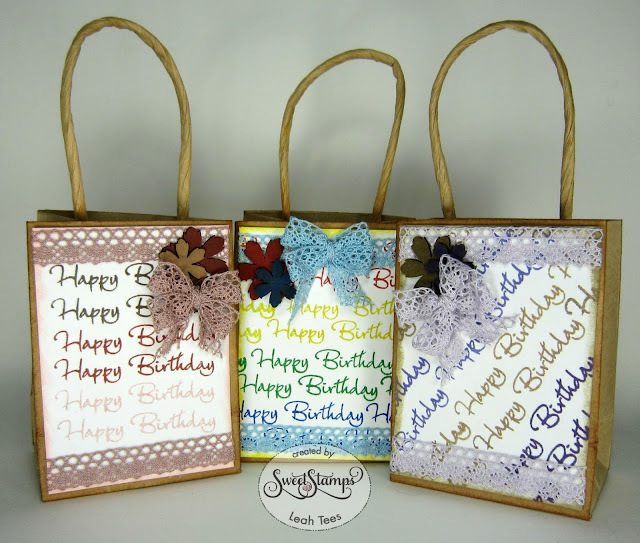 I created these gift bags using several products from the Sweet Stamps store, can you guess which ones? To find out for sure, you can visit my blog at Ode to Paper. These are so cute, I love the variety of colors you used to make each one look different.